ORIGINAL PRICE WAS $44,995. PREMIUM PACKAGE. SMARTPHONE INTEGRATION PACKAGE. HEATED FRONT SEATS. LED LOGO PROJECTORS. REAR VIEW CAMERA. Only 11,187 Miles! Boasts 33 Highway MPG and 24 City MPG! Carfax One-Owner Vehicle. 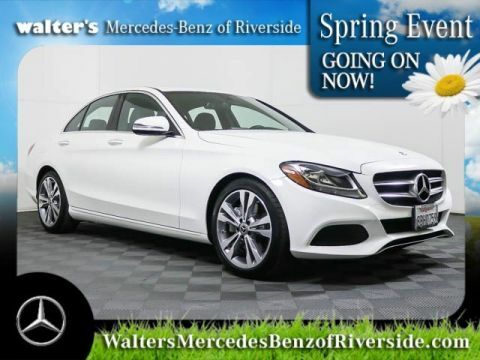 This Mercedes-Benz C-Class boasts a Intercooled Turbo I-4 2.0 L/121 engine powering this Automatic transmission. 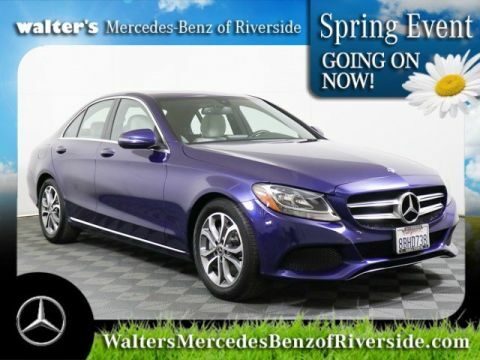 SILK BEIGE/BLACK, MB-TEX UPHOLSTERY, SD-CARD NAVIGATION PRE-WIRING, LUNAR BLUE METALLIC, Heated Front Seats, Dual Zone Front Automatic Air Conditioning, Electric Power-Assist Speed-Sensing Steering, Back-Up Camera, Day-Night Auto-Dimming Rear view Mirror, Valet Function, Tire Specific Low Tire Pressure Warning, Strut Front Suspension w/ Coil Springs, Smart Device Integration, Side Impact Beams, Seats w/ Leatherette Back Material, Rear-Wheel Drive, Rear Fog Lamps, Power Rear Windows, Power Door Locks w/ Autolock Feature, Power 1st Row Windows w/ Front And Rear 1-Touch Up/Down, Outside Temp Gauge, Outboard Front Lap And Shoulder Safety Belts w/ Rear Center 3 Point, Height Adjusters and Pretensioners, Multi-Link Rear Suspension w/ Coil Springs, LED Brakelights, Gauges w/ Speedometer, Odometer, Engine Coolant Temp, Tachometer, Trip Odometer and Trip Computer, Gas-Pressurized Shock Absorbers, Galvanized Steel/Aluminum Panels, Fully Automatic Projector Beam Halogen Daytime Running Headlamps w/ Delay-Off, Full Cloth Headliner, Front and Rear Anti-Roll Bars. 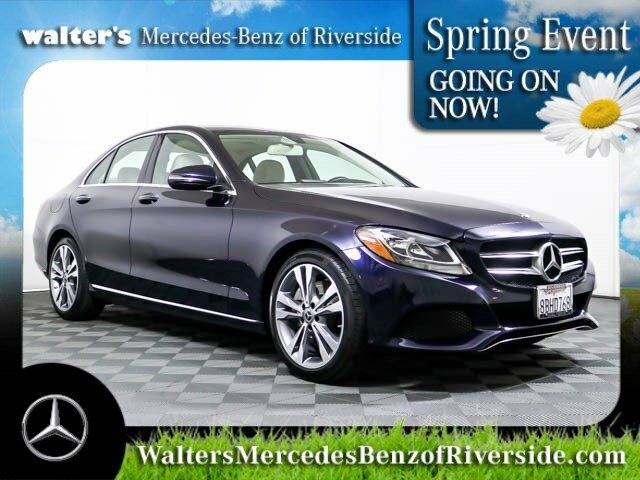 Purchase this vehicle with peace of mind with Walter's 5 day -- 500 mile exchange policy. 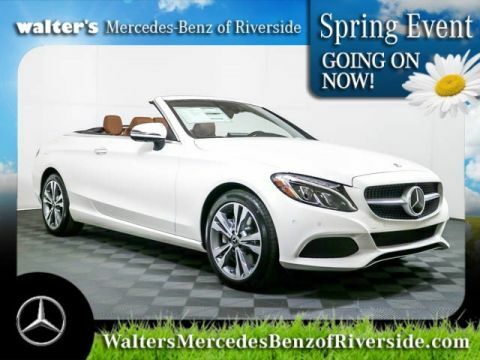 Live a little- stop by Walter's Mercedes-Benz of Riverside located at 3213 Adams St, Riverside, CA 92504 to make this car yours today!